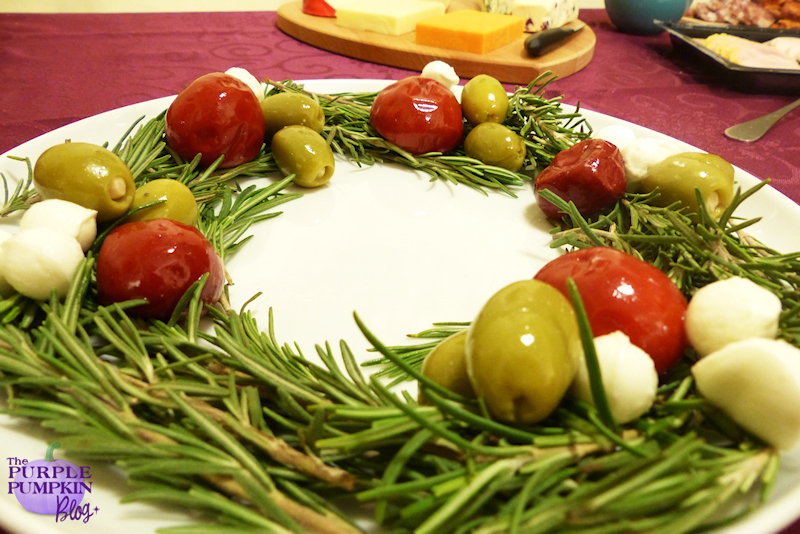 One of the things I prepared was a Rosemary Antipasti Wreath using fresh rosemary stalks (my favourite herb), olives, cheese stuffed peppadew, garlic olives and mini mozzarella balls. Really easy to put together – you just need several bunches of fresh rosemary. I used two packets of them that I bought in the supermarket – so wish I still had my wonderful rosemary bush in the garden! I then arranged it in a ring on a white plate – you could use more rosemary for a fuller look. I then added the various antipasti ingredients and that was it – job done! 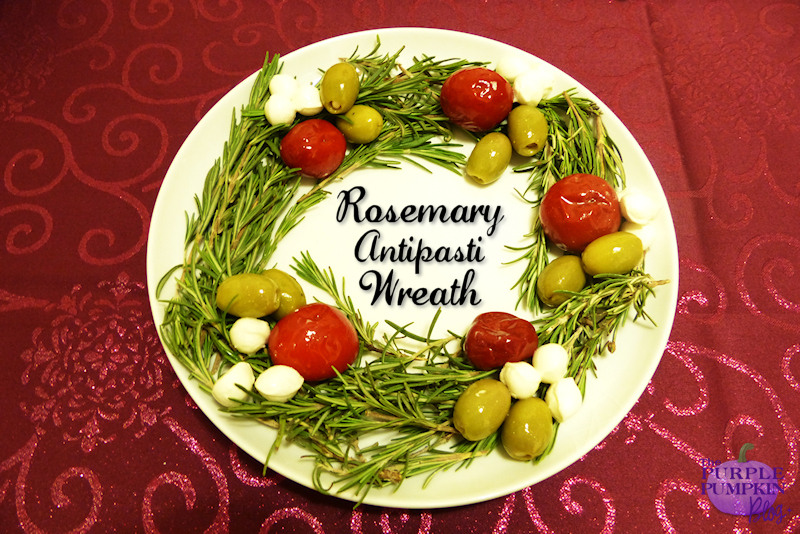 I think it looks very festive and I’ve been meaning to make a rosemary food wreath for a while now. Why not give it a try at your next party?